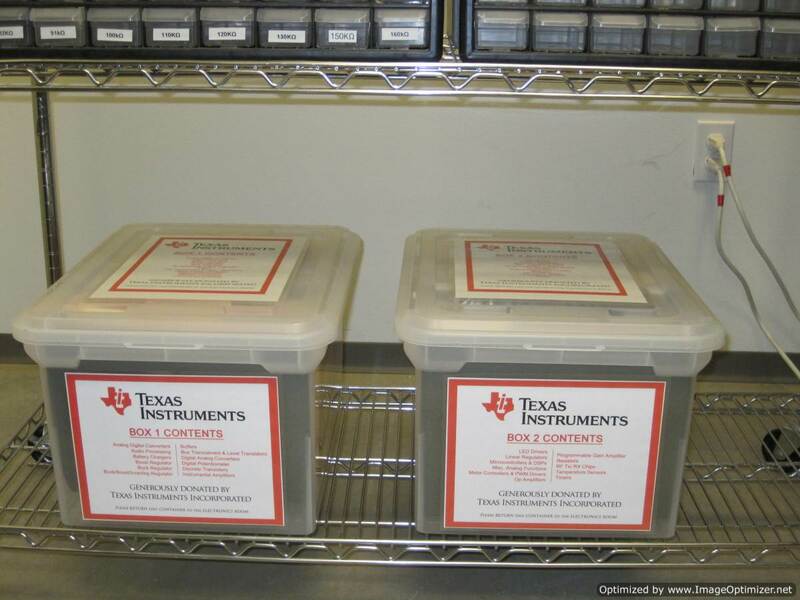 A collection of various Texas Instruments surface mount electronics components is available to teams. Containers of the components are held in the electronics/soldering room. If you can't find what you need, ask an OEDK staff member for assistance.